The widely discussed (e.g. here, here, here and here) Preliminary Injunction issued by the Düsseldorf District Court based on Apple's Registered Communitiy Design for the "IPad" was now, according to the court's press infromation, partially upheld. Samsung brought the "Ozolins-Design" disclosed in 2004 in the US patent application US 2004/0041504 A1 as new prior art supplementing the interesting evidence used in the 1st instance. The court found the Ozolins-Design takes away the novelty of the feature that the design is "frameless" such that the differing features gain in importance. The feature that the Apple design is a two-part design with one housing and one front cover is contrasted with the 3-part design of the Samsung Glaxy Tab featuring an additional "clamping"-frame. As a consequence, the Galaxy Tab was found not to infringe Apple's Community Design. Interestingly, the preliminary injunction was finally upheld based on the German Unfair Competition Law (a brief summary can be found here), which again proves to be a powerful and sharp sword in supplementary design protection in Germany with a scope of protection being (at least in this case) even wider than that of the registered designs. In contrast to the 1st instance, the court assumes EU-wide jurisdiction not only over Samsung's German subsidiary but also over the mother company. Please note that this is a preliminary decision only. PatLit is looking forward to reporting on the proceedings on the merits, which are likely to follow now. Back in November of last year, the UK government announced its plan to launch a small-claims service in the Patents County Court (PCC) this coming October. The Intellectual Property Office (IPO) is now seeking suggestions as to how the new service should work. Also, it is reopening the now boring discussion as to whether the PCC should be renamed the Intellectual Property County Court in order to better reflect the range of IP cases it considers. One of the key questions the IPO is asking is whether the new service should work in largely the same way as the general small-claims track for non-IP disputes iand whether the proposed £5,000 limit on damages would be beneficial. It also wants to know which specific types of IP disputes might best be suited to the new service and whether it should provide for interim injunctions. If you want to make submissions, the closing date is 16 February 2012. Click here and here for further particulars. PatLit wonders whether other jurisdictions have small claims procedures for their IP disputes. It would be good to learn of any successful experiences in this field. In a recent decision published here, the Düsseldorf district court had to decide on a preliminary injunction requested based on a patent on a substance containing a mixture of two substances – Leflunomid and Teriflunomid. The claims required among other things that the amount of Teriflunomid should fall in a range between 0,3% and 50% of the amount of Leflunomid. The allegedly infringing embodiments contained a priori only the first substance Leflunomid. 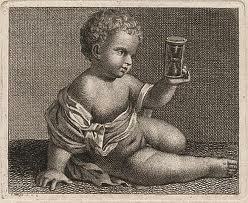 However, the patentee argued that due to certain chemical processes occurring under regular storage conditions at a temperature of 25°C and a humidity of 60%, the amount of second substance Teriflunomid would increase and reach the threshold of 0,3% after 6 months for a first embodiment and after 9 months for a second embodiment. The court found the product to infringe the patent directly and literally (no contributory infringement as one might have presumed). It referred to the earlier judgement with the title “Traktionshilfe” of the Düsseldorf Upper District Court (OLGDüsseldorf I-2 U 139/09) departing from the general rule according to which all the features of a claim must be realized in the moment of the use in cases where the circumstances will change in a reliable and predictable way such that the features of the claim will be realized soon (“demnächst”). Interestingly, the Bundespatentgericht (BPatG) had rejected a novelty attack based on very similar arguments in the co-pending nullity procedure (which can be found here ). The BPatG found that even if the conversion of Leflunomid into Teriflunomid may actually have taken place under certain storage conditions prior to the priority date, this conversion was not the consequence of a methodical (planvoll) technical activity but rather uncontrolled such that the actual technical teaching to use product with a certain composition was not known. If achieving the claimed composition is the result of a certain choice of storage conditions and there is no evidence that this choice was actually made, the claimed composition is novel. This highlights an important difference between the assessment of novelty and infringement which results from the focus on the technical idea rather than on the tangible features. According to the decision, a product may be infringing a patent accidentally, e.g. as the result of a natural decay/conversion process. If the same product (but not the decay process) was known before the priority date and the circumstances leading to the decay/conversion process are actually not inevitable, it would not be novelty destroying. Wise after the event: does expert evidence induce hindsight? Another warning about the relationship between expert evidence, inventive step and hindsight was delivered by the Court of Appeal for England and Wales in Apimed Medical Honey Ltd v Brightwake Ltd  EWCA Civ 5, in which that court allowed an appeal against a decision of Judge Michael Fysh QC. Apimed's patent specification described a medical composition for a wound dressing made mainly of honey, which was combined with a "gelling agent" so as to result in a flexible sheet or pliable putty that could be made to fit a wound. The specification gave examples, the majority of which used sodium alginate as a gelling and viscosity increasing agent. Judge Fysh found the patent to be technically simple: the skilled addressee, who would already be carrying out research and development of contemporary surgical dressings, could rely upon a consultative combination with persons concerned with the in situ treatment of wounds with commercially available dressings such as tissue viability nurses and specialist consultants. According to the judge, the skilled addressee did not include alginate chemists, rheologists, epidemiologists, materials scientists or honey experts. Judge Fysh then construed the phrase "natural based gelling agents" as meaning not only agents causing the honey to form a gel, but also agents causing an increase in the viscosity of the honey sufficient to allow it to be made into a putty or rolled sheet. Finally, based on evidence from (i) a tissue viability nurse that she had been adding honey to alginate dressings for approximately 10 years before the patent date, and (ii) an earlier article about the role of honey in the management of wounds, the patent was obvious because the availability of alginate dressings was commercial and their use was common general knowledge.
" ... It is also particularly important to be wary of hindsight when considering an obviousness attack based upon the common general knowledge. The reason is straightforward. In attacking a patent, attention is focused upon the particular development which is said to constitute the inventive step. With this development in mind it may be possible to mount an attack which is unencumbered by any detail which might point to non obviousness: Coflexip SA v Stolt Comex Seaway Ltd (CA)  IP&T 1332 at . It is all too easy after the event to identify aspects of the common general knowledge which can be combined together in such a way as to lead to the claimed invention. But once again this has the potential to lead the court astray. The question is whether it would have been obvious to the skilled but uninventive person to take those features, extract them from the context in which they appear and combine them together to produce the invention". On 17 February German-based US patent attorney Robert Lelkes is giving a one-day seminar in Amsterdam on measures one can take when introducing a product, or new product features, into the US market to reduce the harm that may arise from an accusation of patent infringement. Together with his colleague Thomas Niemann (Managing Director, Hochland Natec GmbH), Robert offers an overview and will present case studies addressing problems such as (i) holding the U.S. customer harmless from patent infringement lawsuits which the European vendor cannot afford and (ii) dealing with competitors and patent trolls that use patents aggressively to raise the cost of entry into the U.S. market. The goal of the seminar is to provide knowledge of the differences between European and U.S. strategies, so that even small and mid-sized European companies can survive this peril of doing business in the U.S.
Robert's seminar, sponsored by Forum Institute, is called “Preventing Patent Harassment in the U.S.”. To download the brochure and sign up just click here. PatLit learns that, while the seminar is already viable and will be going ahead, Robert's motto is "the more, the merrier!" If any reader is planning on going and is likely to be taking decent notes which might appear on this weblog, can he or she let me know! 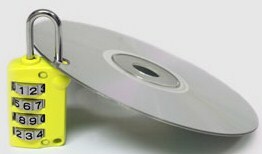 In a recent case, the U.S. Court of Appeals for the Federal Circuit sharply restricted a common litigation strategy used by defendants in the U.S.: responding to a patent infringement complaint by filing a declaratory judgment counterclaim alleging that all claims in the asserted patents are invalid. In Streck, Inc. v. Research & Diagnostic Systems, Inc., No. 2011-1044, ____ F.3d ___ (Fed. Cir. Jan. 10, 2012), the appeals court held that a defendant generally cannot maintain such a broad-brush counterclaim after the plaintiff formally restricts its infringement contentions to specific claims. Facts: Streck sued R&DS for infringement of three patents covering hematology control technology, including U.S. Patent No. 6,200,500 (the ‘500 patent). Streck’s initial pleading alleged that R&DS infringed the patents without identifying the specific claims alleged, as is common in U.S. pleading practice. R&DS then asserted a broad declaratory judgment counterclaim, seeking a declaration that the asserted claims in the patents were not infringed and invalid. Such counterclaims are compulsory under the Federal Rules of Civil Procedure, and commonly are asserted by defendants to gain leverage in the event that a plaintiff seeks to limit its infringement claim to specific claims in the asserted patents. Later, Streck and R&DS agreed that their litigation, although pending in Nebraska, would be governed by the Local Patent Rules adopted in the U.S. District Court for the Northern District of California. Those local rules require the patentee to make binding disclosures concerning the claims it actually contends are infringed. Under those rules, Streck identified 13 claims it contended were infringed, and later amended its disclosures to identify only nine claims. Nonetheless, R&DS sought a declaration of invalidity and noninfringement on all but one of the over eighty claims in the three patents-in-suit. When the district court declined to submit R&DS’ declaratory judgment claims to the jury, R&DS appealed to the Federal Circuit. [D]efinite and concrete, touching the legal relations of parties having adverse legal interests; and that it be real and substantial and admit of specific relief through a decree of a conclusive character, as distinguished from an opinion advising what the law would be upon a hypothetical state of facts. MedImmune, 549 U.S. at 127 (citations and quotations omitted). Applying that standard, the court ruled that R&DS’ contentions concerning non-asserted claims in the Streck patents lacked an actual controversy after Streck formally disclosed, under that applicable rules, that it was dropping the claims from its contentions, and R&DS could not establish an alternative basis for finding a live controversy. Thus, under MedImmune, “a [declaratory judgment] counterclaimant must show a continuing case or controversy with respect to withdrawn or otherwise unasserted claims.” Streck, at 20. In addition, in order to establish declaratory judgment jurisdiction, the defendant-counterclaimant must show that the actual controversy existed at the time the action commenced and continued through until the time of trial. The court distinguished the situation where litigants stipulate to “representative” claims, which are tried as a proxy for all claims in a patent. The Federal Circuit indicated that a district court has declaratory judgment jurisdiction over all claims in an asserted patent when the parties stipulate that a few claims will be “representative” for purposes of the litigation. See Scanner Technologies Corp. v. ICOS Vision Systems Corp., 528 F.3d 1365, 1382-83 (Fed. Cir. 2008)(stipulation to representative claims does not limit court’s jurisdiction to hold all claims in patent invalid). In the present case, however, Streck formally limited its infringement contentions to specific claims in the patent-in-suit. Furthermore, R&DS failed to show that an actual controversy continued to exist as to the non-asserted claims. As a result of this decision, defendants hoping to gain leverage by maintaining invalidity counterclaims against a broad group of claims, including non-asserted claims, cannot merely rely on the fact that such counterclaims are compulsory. Instead, they must independently show that all the claims are the subject of an actual controversy, such as be demonstrating that a concrete dispute exists between the parties on the defendant’s ability to lawfully operate without infringing the claims. See, e.g., Sandisk Corp. v. STMicroelectronics, Inc., 480 F.3d 1372, 1380 (Fed. Cir. 2007). Last October the Valencia Appeal Court confirmed a decision of Valencia Criminal Court No 12 to sentence a certain Mr MLM, the sole administrator of a company identified as PT, for criminal patent infringement under Article 273 of the Criminal Code (patent infringement). MLM was sentenced to six months' imprisonment, a 12-month penalty payment of €10 a day and payment of the damages and legal costs incurred. The offence was the knowing importation of two batches of products that infringed the patents of an Italian company, Sisvel. The prosecution, which followed a Customs seizure, indicates that, while the public authorities in many countries are often reluctant to utilise public resources in order to enforce private rights, the Spanish authorities have shown themselves to be decisive in not only securing conviction but resisting the appeal. a Swan Song for common sense? With apologies to readers of the IPKat weblog, who may already have seen this item, I'd like to draw attention to Annsley (the AmeriKat) Merelle Ward's totally up-to-date and quite compelling post this morning, "Europe's runaway patent train on track -- for scrutiny, or mutiny? ", which you can read here.
" ... national governmental committees and politicians will take the opportunity to examine the proposals, speak with their patent professionals and raise these issues with their MEPs. 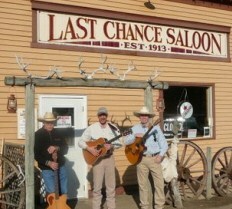 The Kat encourages readers to take up the baton with their national politicians and MEPs before the "last chance saloon" of the February vote". 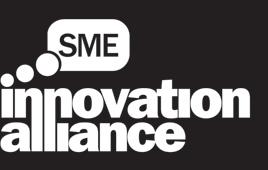 "I thought your readers might appreciate knowing about a most interesting discussion that the SME Innovation Alliance will be holding on Friday 10 February 2012. It effectively features a debate about the role of the UKIPO against that of the Patents County Court. While many of your professional readers will probably not even raise an eyebrow that these two institutions will be side by side, SME members are far more likely to view the role of patent examination and grant as contradictory to that of subsequent invalidity proceedings that the separate Patents County Court then can then hold. Questions such as "Why bother to have patent examiners rather than a much simplified registration system?" and "Why do we have a Court that has the power to overrule qualified patent examiners?" will no doubt be asked. No doubt your readers can construe many possible claims ;-). Indeed, what questions would they want to put? (They can of course attend for a fee unless a member of SMEIA). The full agenda for February's meeting is here"
I'm always willing to publicise events of this nature, even though my personal view is that this discussion may be based on false premises. One reason why patents get revoked is that fresh evidence of the prior art emerges after the examiner has done his job. This often comes to light when the owner of the patent sues someone for infringement and the person being sued says, hang on there -- this can't be right; what you claim in your patent isn't new. Bear in mind also the fact that the vast majority of patents are never challenged at all and the examiner's handiwork remains unscathed. Still, there's no harm in debating the issues -- and there's even less harm in reminding ourselves of the precarious foothold which many SMEs have on the patent system and of the problems they face in litigating their patents.